Emma Blogs LLC was founded by Emma Palova on July 25, 2014 as an advertising, blog design and writing Internet company. Palova is on her quest to publishing memoir the Greenwich Meridian about the family immigration saga now spanning three generations. 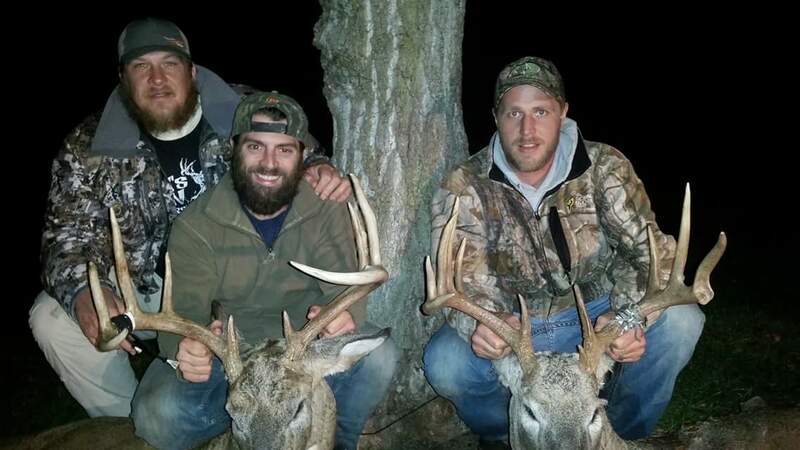 Opening day of the hunting season on Nov. 15 in Michigan. 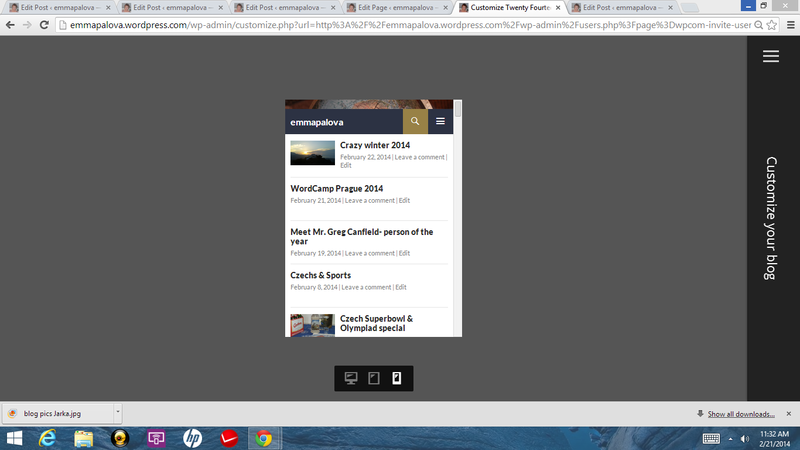 Send a photo of you with your deer to be published on the Emma Blogs, LLC portfolio. Lowell, MI – It’s never easy to lose a parent, but to lose a child is a traumatic event beyond imagination. Gail Lowe calls herself “Hiker Babe”, and she truly is a veteran hiker of 10,000 miles with just one fear left. And that is she won’t be able to hike anymore because of aging and related health reasons. On Thanksgiving of last year, Lowe completed the most difficult hike of her life. It was “Becka’s Hike” to memorialize her daughter Rebecca Carrie Lyons, 46, who died of breast cancer in May of 2013. Lowe is working on a book “My Best for Becka” about the end of her daughter’s life. It is Lowe’s hope, that the book will help the grieving process and foster personal growth. 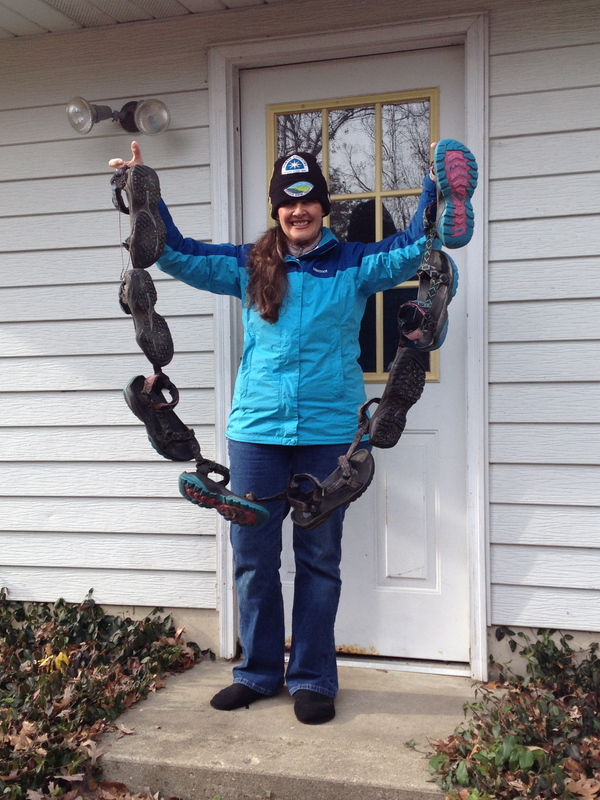 So, Lowe embarked on a 4,600-mile long hike of the North Country Trail (NCT) on March 18, 2014. She wanted to complete it as a thru hike which means in one season. “It was a hike with a mission,” she said. Lowe had previously hiked twice the Appalachian Trail which is only half as long as the NCT. One of the most difficult parts of the hike was in the western half of the Upper Peninsula, where the trail was overgrown. Lowe who has also hiked in Alaska, said, the UP part of the trail was much more remote than the one in Alaska. On the other hand, probably the easiest part of the hike was through North Dakota. Victorious Gail Lowe at the end of 4,600 mile hike. But, what was even more difficult than the length of the hike, was the extreme solitude. Lowe said that on the other trails people camp at night and share shelters together. To fight the loneliness, Lowe went to as many towns as she could to meet with the locals and to reach out to them. And that was mutual, because Lowe had the help of more than 100 “trail angels.” Trail angels are people who help hikers either with shelter, food or transportation from the trail to towns and back. Staying in a tent at 20 F would have been hard, if it wasn’t for the Methodists who opened their doors to Lowe. “They truly practice their faith,” she said. Lowe had planned her hike to start and to finish in Ohio. Three couples helped her by taking her back and forth between the trail and the town, so Lowe didn’t have to carry the “rock” or the big backpack. “I could just use the day pack for four to five days,” she said. Even though by now after thousands of miles of hiking, Lowe has it down to a science. She carries 26 to 28 pounds on her back. She averaged 30 to 35 miles a day, before her health became an issue. Lowe came down with mononucleosis and had to make three trips to three different emergency rooms. Her average mileage was down to 15 miles. 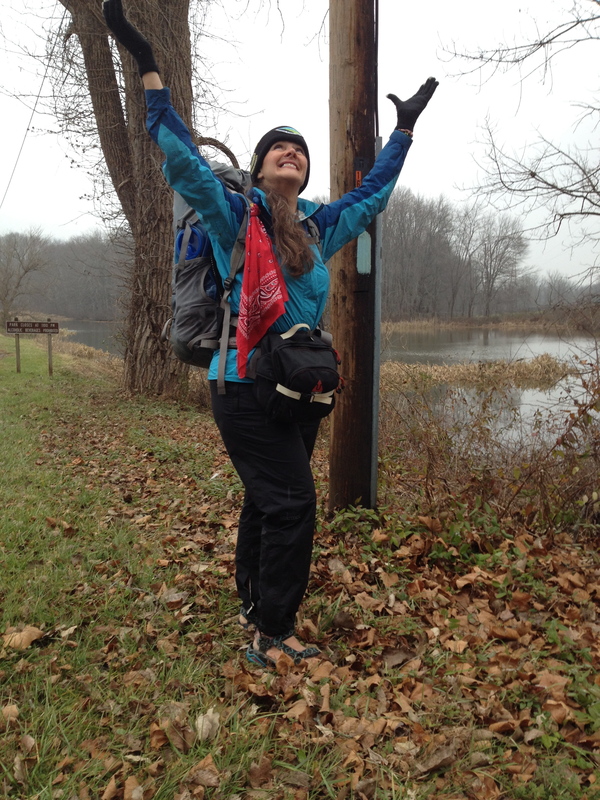 Against all odds including the nasty 2014 weather, Lowe finished the thru hike in one year as the only woman in the USA. 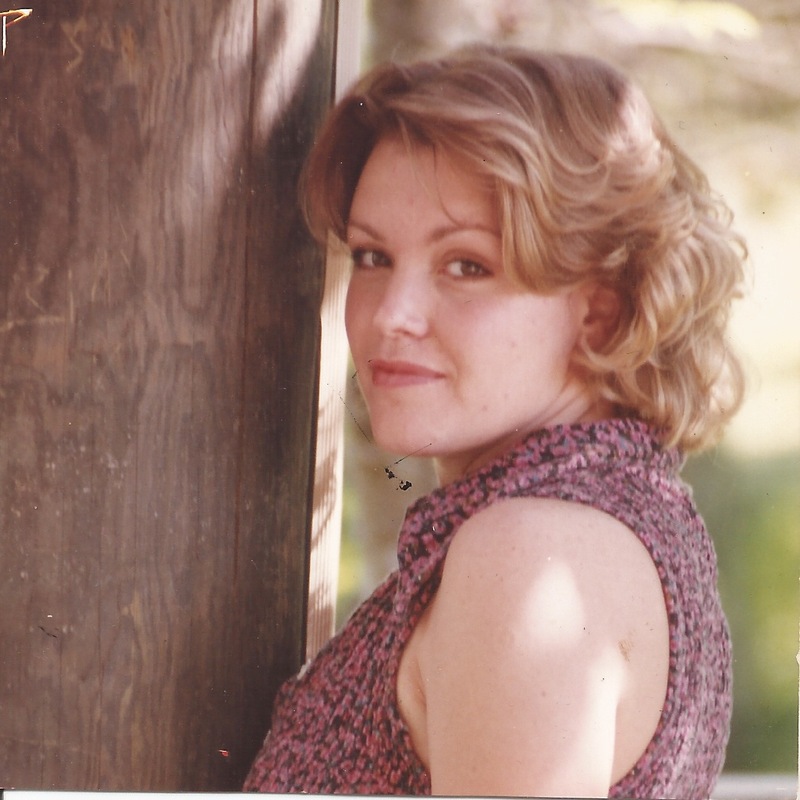 She received major publicity including TV, NPR radio and 40 to 50 articles. Lowe wanted a quiet finish just between her and Becka. That’s why she planned the last two miles on Thanksgiving Day. “I could sneak in under the radar and have the type of finish I wanted,” she said. But, Lowe also wanted to know that Becka was with her all along. “I told myself if I find a quarter on the ground I would know Becka was with me,” she said. On the last two miles of the last day, Lowe looked down and found a quarter. Her major motivation for a hike that took 8.5 months to complete remained Becka. Lowe’s advice to those thinking about hiking the trail is not to tackle it in one season. Because northern Michigan still had snow in May, Lowe had to turn back to Ohio and hike east and wait for Michigan to thaw. How did Lowe succeed in spite of all the challenges? She trained for two months before the hike walking 10 miles a day with an over weighted backpack. Lowe turned 65 on the NCT hike on Sept. 4th, and she still wants to hike the Continental Divide trail to be the first woman with a quintuple crown award. Lowe said she will do the Continental Divide trail ASAP, before the aging process takes over and makes it impossible. Lowe says about herself that she is not religious, but she is spiritual. Lowe calls her hikes pilgrimages. Lowe ignores negative people in order to accomplish her goals. However, as far as the grieving process itself, Lowe says there is no closure on grieving, ever. NCT runs through Fallasburg Park in Kent County, Michigan. Matthews hopes that the experience Lowe has had will inspire other people to follow in her footsteps. What distinguishes NCT from the other trails is that it runs through different environments, and it does not follow a mountain range. “Trail angels will be looking for you ready to help,” he said. “You can share experiences and volunteers make the routes more scenic. “Solitude is part of the NCT experience,” he said. 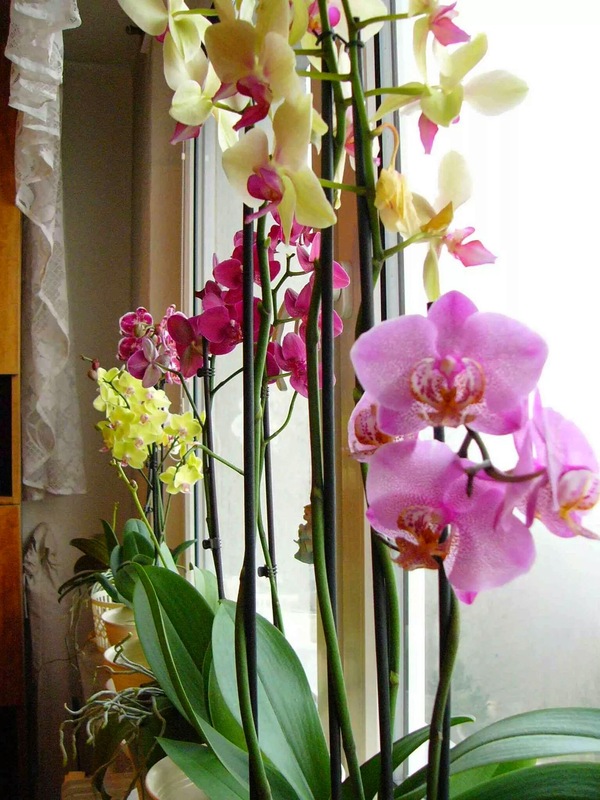 “First of all, it helps the mother to do something extreme and distracting, rather than sitting by helplessly. Second, the mother’s agony and suffering helps her transfer her psychological pain into physical pain. The physical discomfort can be easier to manage than the emotional turmoil from the loss. 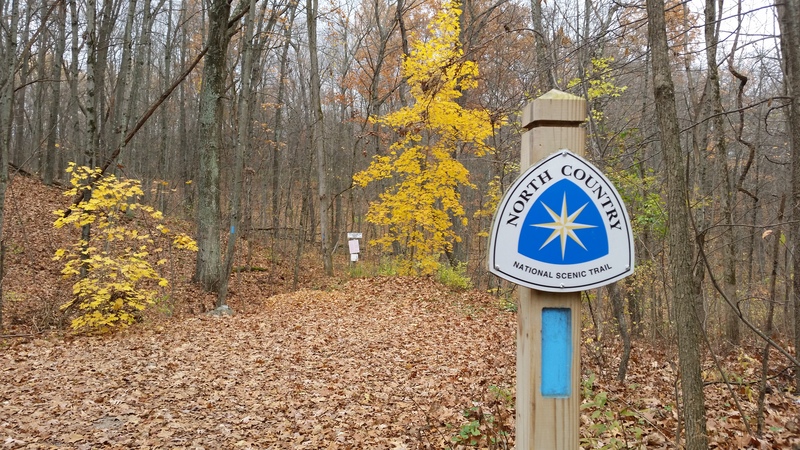 The North Country Trail Association with headquarters in Lowell, Michigan manages the 4,600 mile trail stretching across seven states from New York state to North Dakota. NCT winds its way through the Fallasburg Park. The North Country National Scenic Trail (NCT) links scenic, natural, recreational, historic and cultural areas in the seven-state area. The trail can be both easy and challenging depending on the section. It differs from the Appalachian, Pacific Crest and Continental Divide NSTs which follow mountain ranges, the North Country NCT traverses through a variety of environments i the northeastern and north central United States. 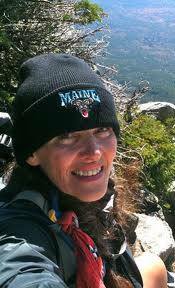 Gail Lowe is the first woman in U.S. history to complete a through hike on the NCTA. 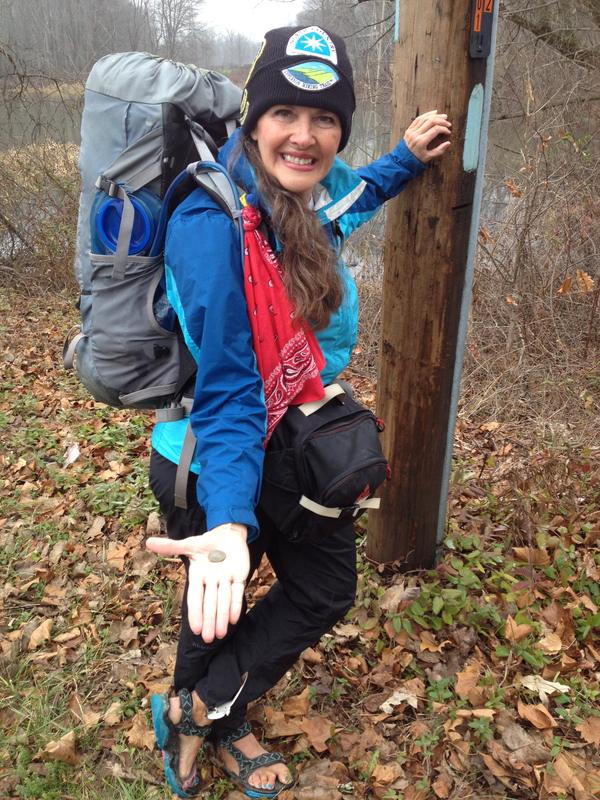 Recently Gail Lowe completed the thru hike across the entire trail as the first woman in U.S. history. Before hiking the NCT, Lowe also walked the entire length of the Appalachian Trail twice and the Pacific Trail and solo trails in Alaska. Lowe’s trail name was Chosen Hiker. With crisp temperatures and less heat, fall is ideal for sports like hiking and golfing. Usually fall golfing is cheaper around $12 per cart. 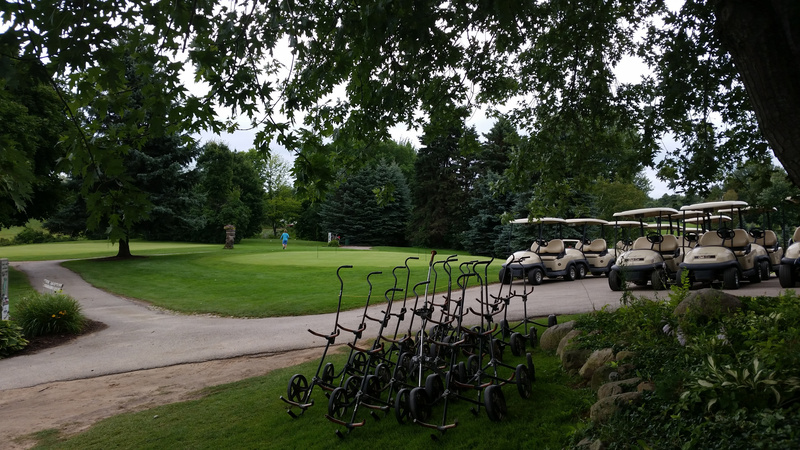 It is also a popular time for fall golf outings and company gatherings. Hiking in the greater Lowell area is fantastic. 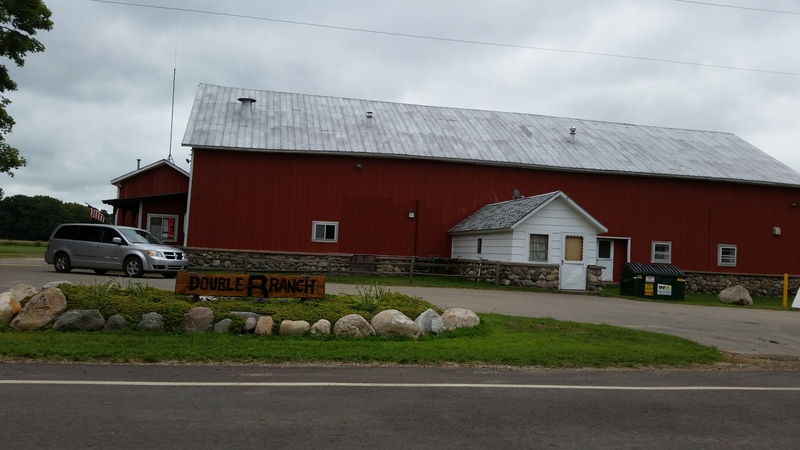 With three connected trail systems, one can hike for miles between Ionia, Lowell and Belding. Each trail system is distinctly unique. Since these are former railbeds, the elevation is next to nothing. And the trails are 10 feet wide. 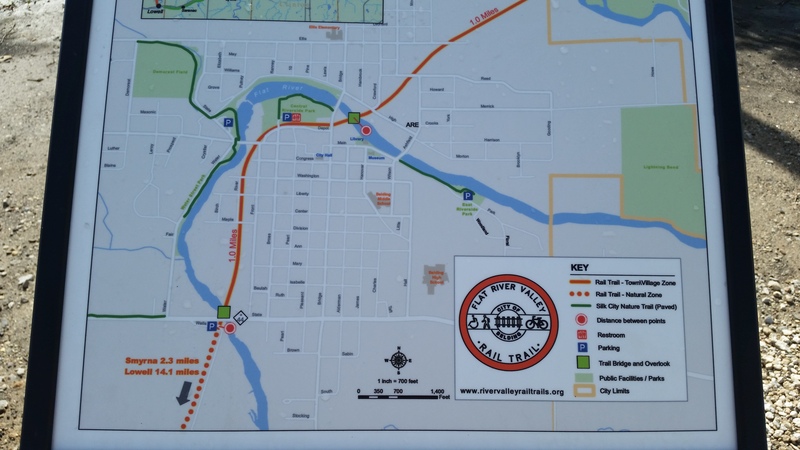 The Flat River Valley Trail system runs between Lowell and Belding and through Smyrna. 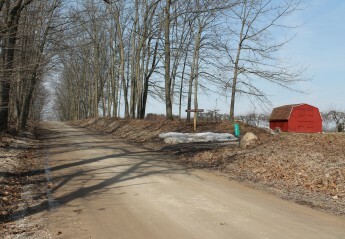 However, only a small part of it is paved around Belding. It is a non-motorized trail that is expected to bring business to the trail towns along the way. Smyrna RR ranch with nearby trails. 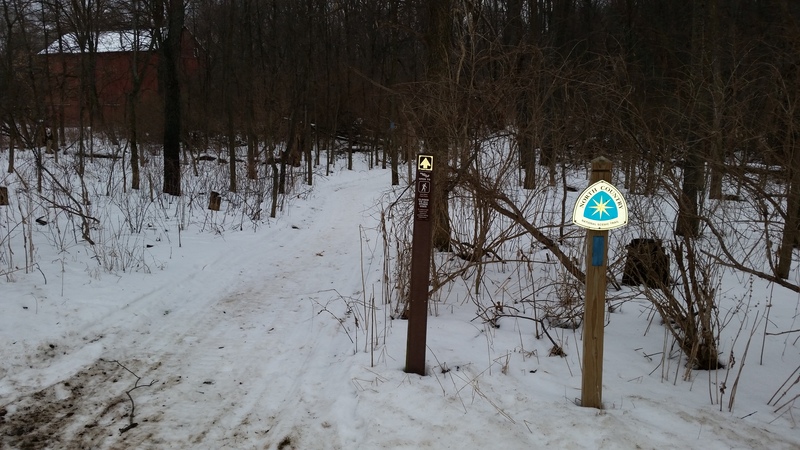 Other trails in area include the Lowell Area Trailway, Wittenbach Wege trails and the Franciscan Sisters. Lowell, MI- No, it wasn’t on her bucket list. Ivy Haskins is too young to have one. She simply wanted to get away from everyday life between the pub and her house painting ventures. 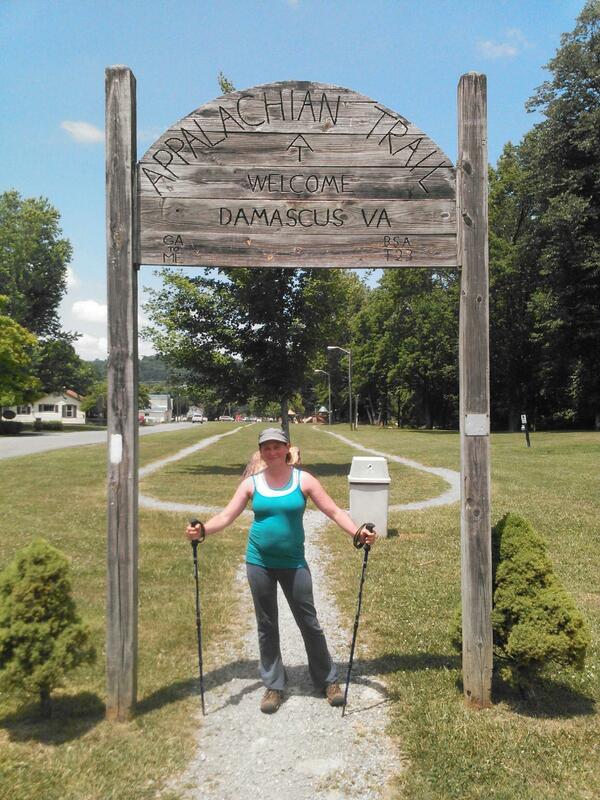 “Ever since I was a kid I heard of the Appalachian Trail,” she said. For years, Haskins, much like many others, dreamt about the 2,181 miles long trail with the highest elevation at 6, 625 feet. The trail runs from Georgia to Maine from easy strolls to challenging mountain climbs. Haskins saved up extra money for the adventure of a lifetime. Rookie Haskins had yet to find out that the Appalachian Trail is not a walk in the rose garden. Standing behind the bar at the local Sneaker’s pub, Haskins lifted her arm in a 45-degree angle. And Haskins found out that there is a huge difference between walking and hiking. Coming from the Lowell flatlands, where there are only flat rail beds converted to trails, the Appalachian Trail was quite a surprise for Haskins. It takes about three weeks to a month to get your “trail legs,” according to Haskins. Haskins had to buy knee braces to alleviate the pain. As Haskins walked or climbed an average 10-hour day, the bottom of her feet were burning hot. “You can’t help but compare yourself to others,” Haskins said. She encountered the same people over and over again like the German guy with that trail name Roatman. “We just kept bumping into each other,” she said. Although, the trail has no rules, there is still that nagging feeling inside telling you to do better. “I had a desire to do better, to better myself and my fitness level,” she said. “Were there moments when you wanted to stop,” I asked Haskins in an interview. “Every single day had good moments and bad moments,” she said. She encountered the higher elevations in the Smokey Mountains while walking that feared 45-angle slope on a gray overcast day. 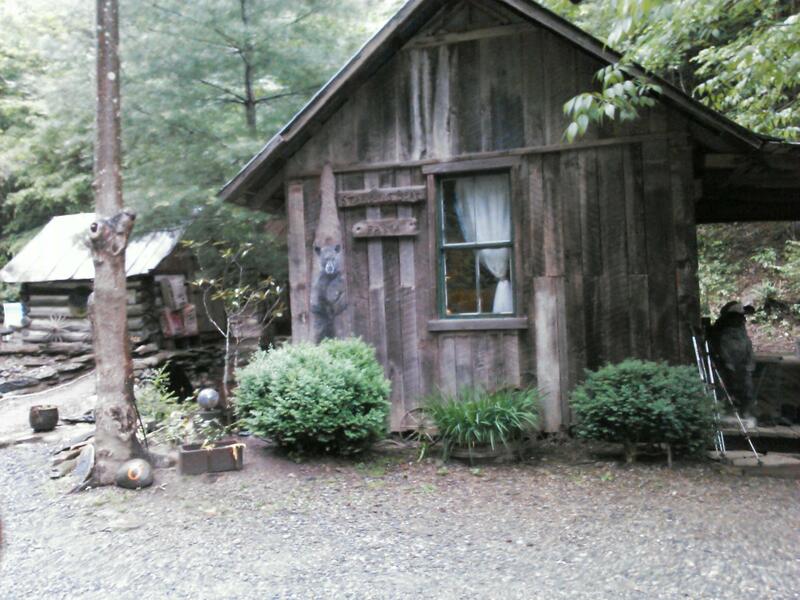 In the Smokies, you have to make it to the shelter, said Haskins. The last mile before the shelter was a steep slope. There were already 15 people in the shelter suited for 12. “What made you stay on the trail?” I asked. “It might be a cliché, but you never quit on a rainy day,” she said. It was actually on one of the easiest days, that Haskins decided to call it quits. Even though she already had a trail name, Tortoise. Haskins was hauling a 35-pound backpack to a beautiful campsite by Laurel Creek in Virginia. Usually there is a taxi that drives people to and off the trail from the trail towns. “It’s dangerous, but there is always a road crossing within 10 miles,” she said. After 600 miles on the trail, Haskins had enough. She wasn’t searching for the meaning of life, she just wanted to get away from the everyday rut. Haskins spent two months on the trail and lost 25 pounds, walking 18 miles a day toward the end. The average elevation in Tennessee is 5,046 feet.